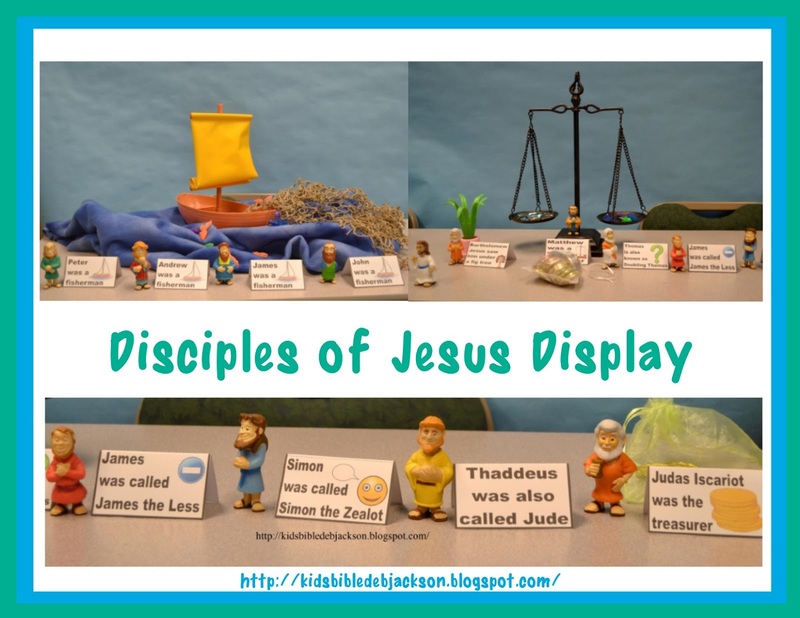 This Disciples of Jesus post has several printable choices. There is a interactive bulletin board that can be used with the Lapbook, File Folder Game, or two sided worksheet. The posters for the bulletin board can also be used for visuals for the lesson. Some of the downloads also include the Apostles. They went to Jesus and Jesus greeted them and told Bartholomew “Before Philip called you, I saw you sitting under the fig tree". Bartholomew was amazed and Jesus told him that he would see greater things. Because Jesus had known that Bartholomew was sitting under a fig tree, he knew that Jesus was special! (Mathew 9:9) Jesus was walking and He saw a man named (7) Matthew sitting in a tax office. Jesus told Matthew to "Follow Me", and Matthew stood up and followed Jesus! 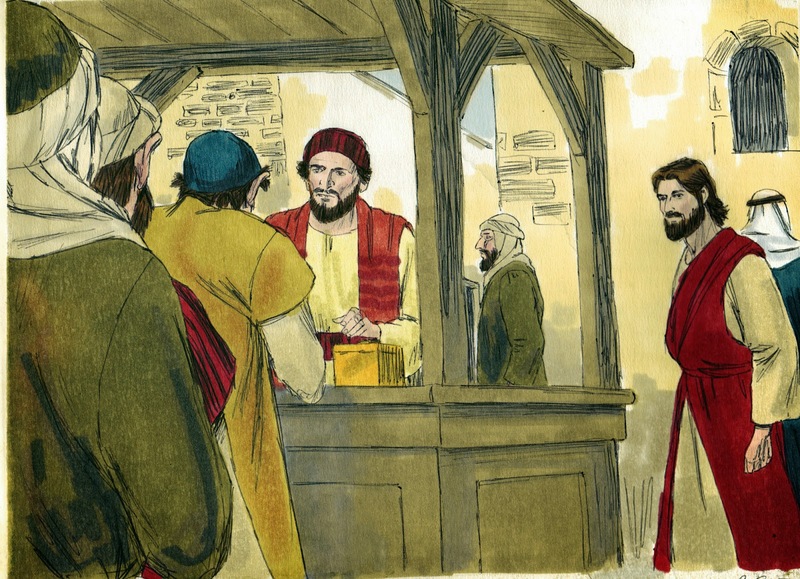 Matthew was a tax collector. He collected taxes outside the city of Capernaum. People who came by him had to pay taxes for average items they traded. The fishermen also paid taxes on their catches. People didn’t like the tax collectors because the overcharged to make extra money for themselves. It was usually a 5% fee but some things were charged up to 12%. People thought the tax collectors money was so unclean, they didn’t ask for their change! (9) James, son of Alphaeus. James is also called James the Less. Then, (10) Simon the Zealot. And, (11) Thaddeus. Thaddeus was also called Jude. There isn’t much told to us about them. Click here to download the above visuals. This is a basic Fill-in-the-Blank double sided worksheet that can be used on it's own, or with the bulletin board below. I added a line below each Disciple as a divider and can also be used to write more information. Click here to print it. 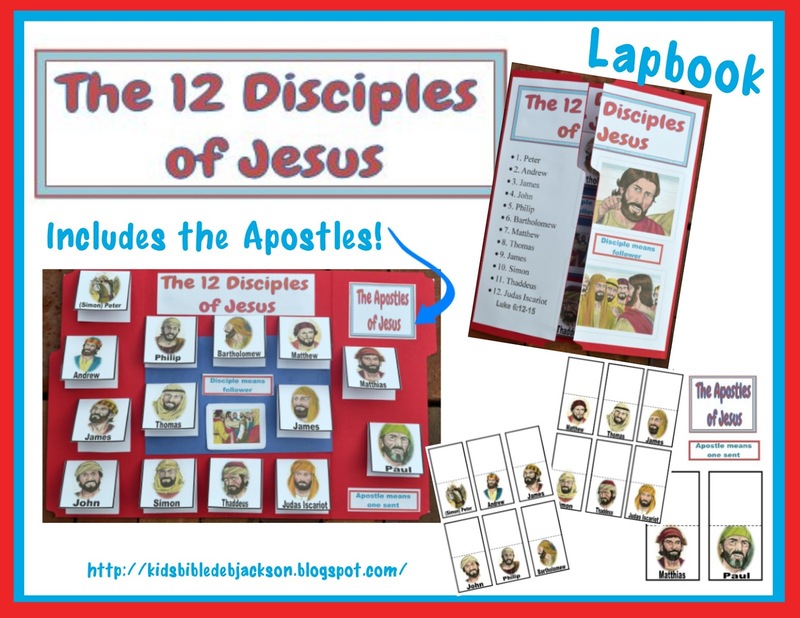 The students used the Disciples file Folder Game you see below. I printed and put together one for each child, and as I was teaching the lesson, I added the 'About Me' cards to the bulletin board with each Disciple. They found their cards and laid the correct 'About Me' cards on each Disciple, then took the file folder games home. Even though I posted this set some time ago, this was what I planned to use with this class. This bulletin board is designed to be used with the above Fill-in-the -Blank worksheet, the file folder game and/or the lapbook you see below. Click here to print the 'About Me' posters. These have been updated! I stored the 'About Me' cards in library pockets I purchased at my local teacher's supply store. Click here to print the labels that I used. But, for something new, I added the same basic set as a lapbook. For the lapbook, the kids will lift the flap and write the facts about each person, so depending on the ages of your students and how much time you have, this is an option for you. I included the Apostles, which you can use, or spread out the Disciples and not use. Click here to download it. There are visuals and a matching Disciples file folder game available by clicking on one of the pictures above. I have several choices for Disciples for several age brackets, and you can find more by putting Disciples in the right side-bar. 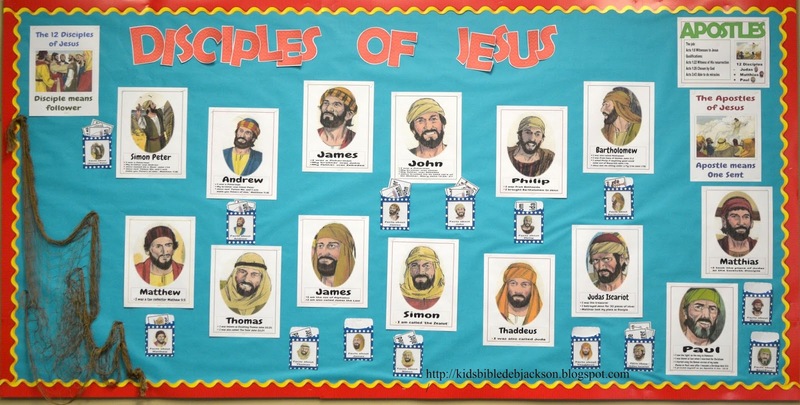 I also had these visuals set up on a table to reinforce the facts about each Disciple. I started with the Galilee Boat and set it on fleece to look like water and added the fish for the fishermen. I added the scales for Matthew, the tree for Bartholomew, and the money bag for Judas Iscariot. You can print the name tags here. 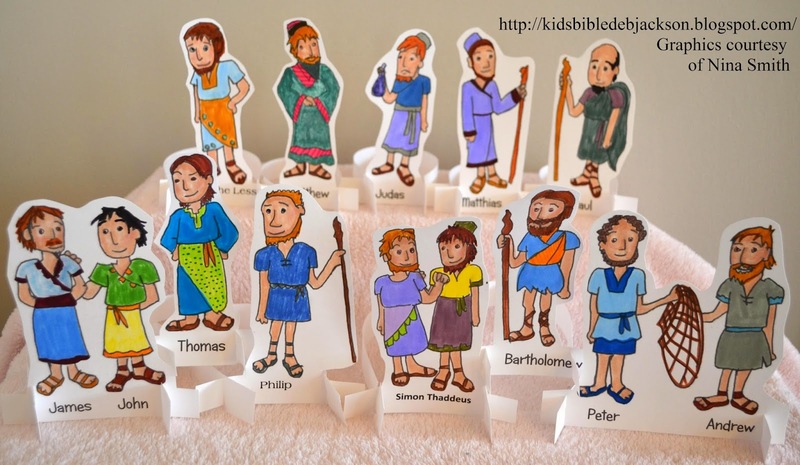 If you do not want to purchase the Galilee Boat with the Disciples, bit would like to have a display, you could print these Disciples that Nina Smith gave me permission to share with you. 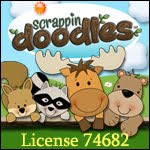 Click here for the download and directions. Thanks again for sharing them, Nina! Today's Bible Verse: Mark 1:17 Then Jesus said to them, “Follow Me, and I will make you become fishers of men.” (NKJV) Click on the picture to print. Click here to download a basic black & white Bible Verse printable. I have started using these and printing on color paper. I don't need the scripture written on them because we look it up in the Bible and it is easier to read. Click here to see a very good article about the Disciples. Yah! This post was featured on Hip Homeschool Moms! 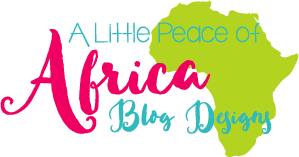 You can find this post here at Free Home School Deals! What a generous freebie you are sharing! 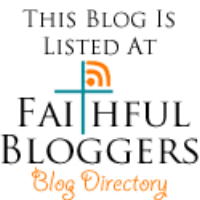 And I love the beautiful images you've included throughout the post for the disciples. Thanks so much for stopping by and sharing at this week's Thoughtful Spot! Thank you so much! I appreciate the wonderful comment! Thank you Katherine! I appreciate you hosting! You are such a blessing to Christian moms! Thanks for being there on the Thursday Blog Hop! Thanks so much Pam! I am glad you stopped by! I am so excited to try this out.everything you need is right here. Thank you for the comment! I am glad you found something to use! Thanks for visiting! OH my goodness, how talented you are! THANK YOU for sharing with us who are much less creative! I am unable to print the double sided Fill In The Blank worksheets; the link takes to me a page for creating my own blog....???? I would LOVE to have this worksheet for my Sunday night children's program; I begin teaching next month Grades 1-6 and LOVE this study! Thanks Sharon for letting me know! The link is corrected. I am glad you found something to use! I appreciate your comment! Hi, I'm stopping over from TGIF Linky. 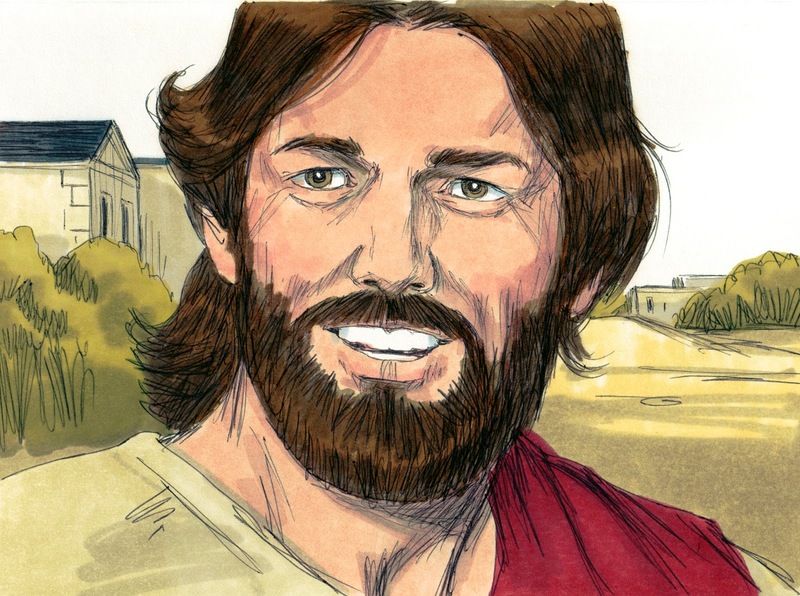 You have provided a lot of great information about the disciples of Jesus. Also, thank you for the great free resources! I am bookmarking this page for use with my kiddos! Have a great day and a great weekend! Thanks Tina for stopping by! I appreciate it! This is a great book to read to kids or even for kids to read (maybe with a little help for the younger ones). I'm stopping by from A Look at the Book. Great Job! Do you have any printables for "The Great Catch of Fish?" This is a wonderful resource! My students will love being interactive while also learning more about their faith! Thank you! These are such a blessing! Thank you for sharing your wonderful materials! HI, PLEASE CAN I USE YOUR LESSONS TO TEACH IN MY SUNDAY SCHOOL CLASS FOR CHILDREN.